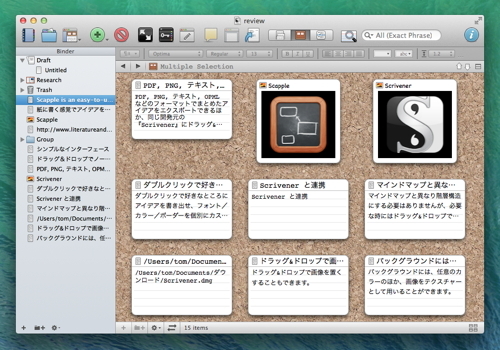 Enhanced for Mavericks, including support for tags and responsive scrolling. 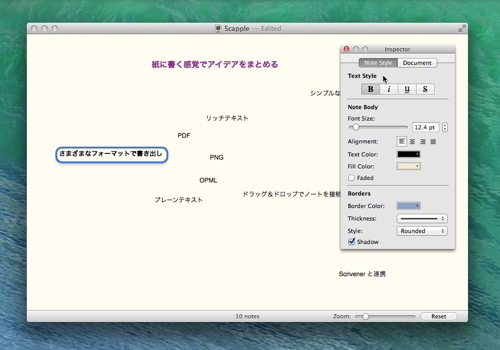 Showing or hiding the footer bar now determines the setting for new documents. 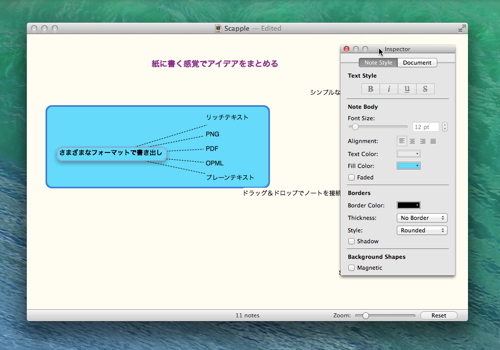 Added View > Page Guides, which provides guides showing where page boundaries fall when printing. 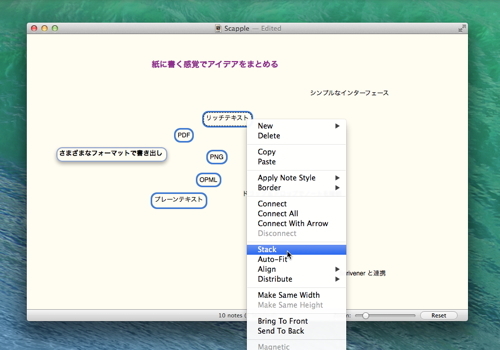 Scapple can now drag rich text to Scrivener (requires Scrivener 2.5). Export now prioritises stack order over cluster order. 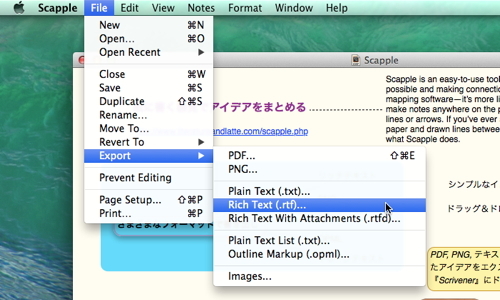 You can now drag any file type onto the canvas. 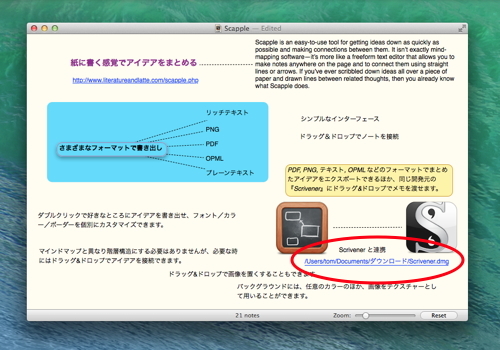 As before, text files and images are converted to notes; notes are created for other files containing a link to their location on disk. You can now drag URLs onto the canvas from web pages. 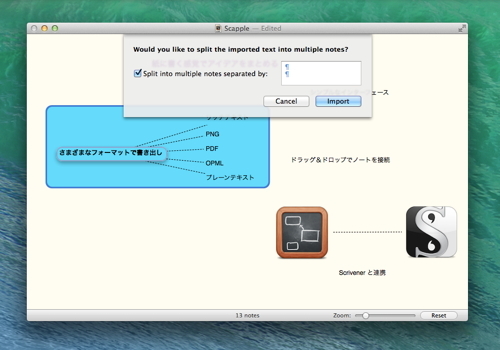 Numerous enhancements and fixes to note auto-sizing.